WARSAW — Two were arrested after officers conducted a traffic stop and found methamphetamine. 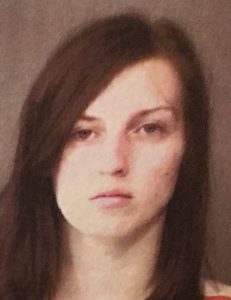 Samantha Lynn Gentry, 18, 502 E. Miami Drive, Syracuse, is being charged with possession of methamphetamine, a level 6 felony. 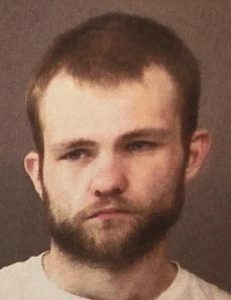 James Allen Bradley, Jr., 22, 1313 N. CR 525W, Warsaw, is being charged with possession of methamphetamine, a level 6 felony; and driving while suspended, a class A misdemeanor. On March 27, an officer with the Warsaw Police Department observed a red passenger vehicle with a loud muffler on Crystal Lake Road in the area of Winona Avenue in Warsaw. The officer conducted a traffic stop and identified the driver as Bradley, whose driver’s license was suspended prior. The passenger in Bradley’s vehicle was identified as Gentry. According to the affidavit of probable cause, the officer used a K-9 unit to conduct an outer air search of the vehicle. The K-9 unit made a positive alert. Gentry told officers Bradley gave her a blue plastic bag and she concealed the bag on her person. She advised that she believed the crystal-like substance in the bag was methamphetamine. Bradley admitted he gave the plastic bag containing methamphetamine to Gentry. The methamphetamine weighed 1.7 grams. Both Bradley and Gentry were booked in the Kosciusko County Jail on March 27. Bradley is currently being held in the jail on a $25,250 surety and cash bond. Gentry has already been released on a $5,250 surety and cash bond. She has an initial hearing date set at 8:15 a.m. Thursday, April 11, in Kosciusko Circuit Court.